Edited by Kubana, 17 January 2017 - 07:51 PM. Also gonna have to remove the Soviet star on the turret while maintaining the Marks of Excellence. Who knows, maybe I can rope Milky in too to get some camouflage on the chassis. Who knows, maybe I can rope Milky in too to get some camouflage on the chassis. Nevermind on that end. I found out how thanks to a post on Milky's NA Thread. I remember noticing it ages ago and derped around on the NA Forums and eventually found it, so now I have this. Well, atleast I've got this done in advance. Also, just wondering. I'm considering making it so camouflage applies to the Chassis of every HD Vehicle in this pack. It'll increase the time for me to fully update the pack, coupled with my laziness, by a fair chunk but it might be worth it. It'll also likely increase the download size by a bit. Oh, and additionally, some tanks the camouflage scaling might be pretty bad and I'm not sure I want to edit the scripts for every single vehicle as well to fix that. So uhm.. thoughts? Rather than bump every thread, since that'd be stupid, I'll just post it here. All of these mods aren't yet updated to 9.17.1 (no ****), though I imagine some of them work just fine with the patch and just need to have the folder renamed to 0.9.17.1 From 0.9.17.0.3, or atleast I hope so. I won't be able to probably update them tonight or for awhile, but yeah, I will get them done at some point. This pack in particular I'll be updating just to add the new TOG II, AT2 and AT7 HD Models. The ongoing update to the whole pack isn't finished just yet (and won't be for awhile since I'm a lazy ****. I've done all the SD Models and up to Tier V on HD Ones, then I have to apply the camouflage to the Chassis of the HD Models, so still a fair bit). I'll keep you informed on that. EDIT: A few of my mods have been updated to 0.9.17.1 Now. This of course, still hasn't, but I should hopefully have that and the remaining mods updated on Sunday. Again, this pack will not be updated to the better version that I'm still working on at the moment, just adding the TOG, AT2 and AT7 To the pack. Edited by Desyatnik_Pansy, 25 February 2017 - 01:12 AM. With 9.18 Probably dropping sometime next week (it's on Tuesday for NA, so I hear atleast), I'm gonna probably spend all next week just churning out the remaining tanks; the Conqueror, Centurion 7/1, Centurion AX, FV215b (183), FV4005, Chieftain Mk. 6 and T95/Chieftain (yes, even though the last two aren't available, I still want to do them). I won't be updating it until then, which could be a day or two after 9.18 Hits (oh, and it'll obviously include the HD Sexton I, AT8 and FV3805 Skins), which I'll edit into this post later just because. I'll try and add Chassis camouflage to as many as possible, but I might hold off including that part (it will be entirely optional, in case you don't want it since it isn't really historically accurate) until it's entirely finished. See how I feel about it. I could probably have been finished by now if I wasn't a lazy [edited], but oh well. Edited by Desyatnik_Pansy, 11 April 2017 - 07:24 PM. The pack is ready to update pretty much. All tanks have been redone in some way, and it's ready for 9.18. I will have optional Chassis Camouflage available for Tier IX/Xs when I update it for 9.18, but otherwise I will be slowly working on the rest of the HD Tanks in my own time. There's also a smaller issue I will want to fix, but for now it's really not a priority of mine. EDIT: Nevermind. With 9.18 Probably coming in a week, I might actually be able to do Chassis Camouflage for everything by then, depends how lazy I am. Edited by Desyatnik_Pansy, 19 April 2017 - 09:56 PM. Additionally since I seem to tend to use this thread for general updates about any of my mods rather than bumping them all, I've updated a few of my other mods, but thus far only the ones I really trust to be working at the moment. Even so, if there are any issues, please inform me. EDIT: I realise I made a mistake and the Sherman Firefly by default has the painted barrel on it now. I'll be fixing that hopefully tomorrow, but could be as late as Sunday if I don't find the time. Edited by Desyatnik_Pansy, 27 April 2017 - 11:30 PM. Since I've been ill these past few days and also been doing remodels and whatnot, I haven't done the Alecto or Excelsior in advance (or fixed the Firefly ), but I'll hopefully be doing those in the next few days. I hope to update all the mods I'm going to continue supporting to 9.19 on Sunday or a few days afterwards. EDIT: Excelsior done and Firefly without the barrel paint. I'll be doing chassis camouflage for the Excelsior and Alecto, but I'll be slow to continue adding that since again, remodels. Edited by Desyatnik_Pansy, 01 June 2017 - 05:26 PM. Sorry it took so long. Updated to v1.7; a la, 9.19 Update with HD Alecto and Excelsior (with Chassis camouflage) and fixed the Sherman Firefly. I did a quick count and there's only 10 British tanks that aren't HD Unless I missed one or two, so hopefully next patch/s we don't get only like 11 HD Models and I can finally pretty much "finish" the pack. The UC2pdr and ChurchillGC Are ready in advance for 9.19.1, unlike last time where it took me a week or two after the patch to update the pack. I've also noticed that the Light VIc was apparently missing and it seems to also have been missing from the v1.7 version, so that's an error on my part. That said, I won't be readding it, as to me it feels like a waste of time to put more effort just to fix a missing SD Skin. Also, with the v1.8 Version (9.19.1), I'll have changed the format a bit. Whereas say before, it would be (just an example); Comet_guns_AM + Comet_guns_AM_hd, I have removed the SD Versions and renamed the _hd versions to replace them. This will reduce the download size a little bit and technically the HD Version will be used by default, since it's now.. well, you get the idea. Updated to v1.8, which is basically just the 9.19.1 Version, which includes the HD UC 2-pdr and ChurchillGC. If there are any problems of course, inform me. Also one other thing, any thoughts on this? Note that this is still just testing and stuff like the tracks on the tanks, viewports, the like haven't been removed from the overlay. Here is a comparison of the reskin across the Pz. II D, Pz. 38(t), Pz. III, Pz. IV H, Tiger I (my HD Remodel), StuG III G, Jagdpanther, Ferdinand and Jagdtiger with their original Panzergrau versions. Pardon that the Tiger I And following are slightly misaligned, since I was an idiot and just moved the skins out of the vehicles folder to use the original Panzergrau while still using the same position of the tanks. This of course, caused my game to crash since that included moving the Tiger I's remodel stuff out, so I tried to align it as best I could but it's still not perfect. Any thoughts? So probably the final post for the moment on the darker Panzergrau pack. 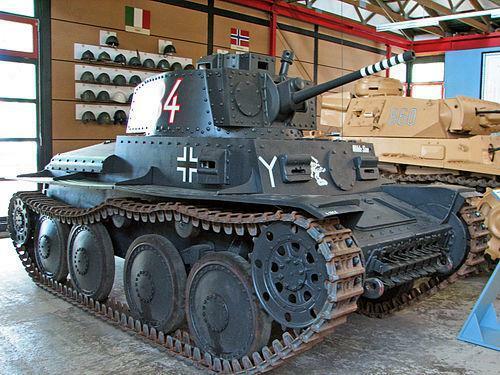 -the Panzer 58 Mutz, which you may have noticed missing from the list above, will likely use a different scheme. 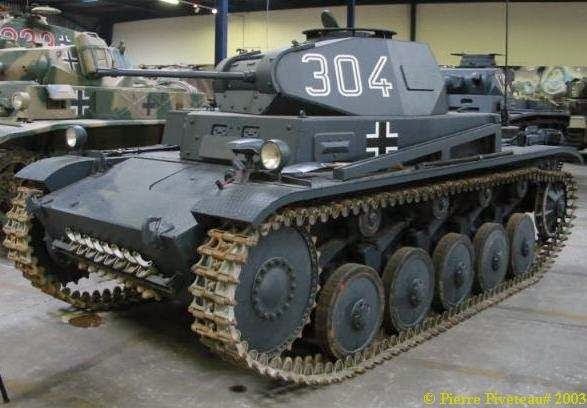 I'm currently thinking Schattenschwarz, since I've been testing that, but that may bear too close of an appearance to the darker Panzergrau so I might go for Tannengrun or some other colour. If it wasn't obvious, this means the Panzer 58, M41 90mm and Skorp. G Will not be using their WG Skins (y'know, the white bear paint on the Mutz, the GF Emblems on the M41 90mm and the Skorp. G.. well, you get the idea). -the Panther M10 Will be unchanged. -the pack, by default, will use some remodels. These will include my current four German remodels; the Pz. III M (Pz. III J), Tiger I, Tiger II and Jagdpanther. It won't include the VK 30.01 (D) HD Model by default, but I will probably support that nonetheless and have it included as an optional version. I am likely to try to add the sideskirts from the StuG IV To the StuG III As well, but I'll think about that more. -finally, the pack will use some modified camouflage options including customisation.xml changes for the Germans. This will likely include a few of my custom camouflages from my pack (though not too many as though I like them, I don't want say all the Summer camos to be the same yellow/brown/green colours, and also want to include a "modern" camouflage available) as well as some others made specifically for this pack. So yeaaah.. look forward to that in like, the next decade. At a later point (and not just with these models, but with the Centurion Action X For example as well) I plan on changing the canvas as you'll note it's darker than the original. Hello sir! I need that FV215b Please. Really love what you did with those skins. Feels more lifelike. Thanks in advance! Sorry it took so long, finally updated to 9.20. This means the Matilda BP Is of course now HD'd, but it also includes the Cromwell B Reskinned to Bronze Green courtesy of Avalon304's skin removal for it. Both of course also have the optional Chassis camouflage added, and the download has been updated to Google Drive. If there are any problems, please inform me. Just another bump to say the models are done and ready. I will probably upload them tomorrow or later tonight if I'm lucky, but at the moment I've removed all of the Chassis camouflage options. That's because I'm going to be redoing them and hopefully doing them all this time, but those will be added with the next update instead of making you wait any longer.